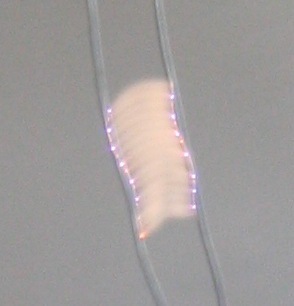 jacob's ladder built from a 15,000V, 30mA neon-sign transformer. this was really easy to build; those transformers are amazing things because you can basically just short them out all day and they're totally cool with it. let's hear it for wood ! - the world's most versatile dialectric !